Did you know you can help heart disease by taking care of your gum disease? And save money by doing so? Read how below and thank you for visiting Shoreline Endodontics, Groton, CT.
New research suggests that for people with both conditions, treating the gum disease may lower their health care costs and the number of times they end up in the hospital. A study in the American Journal of Preventive Medicine reviewed the medical and dental records of people who had gum disease in addition to cardiovascular disease, cerebrovascular disease (usually a stroke), or another chronic health problem. People who had at least one periodontal disease treatment had lower medical costs and fewer hospitalizations within four years of the treatment compared with people who weren’t treated. For cardiovascular or cerebrovascular disease, health care costs were between 10 and 40 percent lower. 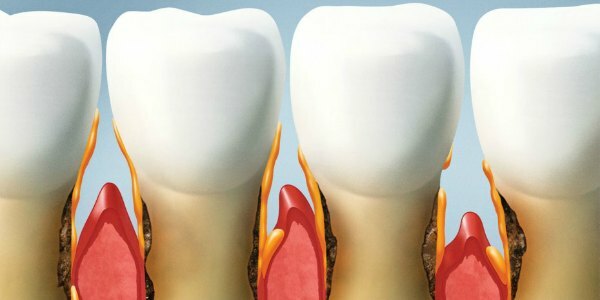 Treating gum disease reduces the body’s burden of infection and inflammation, which seems to help people respond better to treatments for other health conditions, like heart disease, says periodontist Dr. Alpdogan Kantarci of the Harvard-affiliated Forsyth Institute, a not-for-profit research organization focused on oral health. “As we’re always telling our physician colleagues, ‘Make sure your patients are getting regular dental care,’ because we may be able to help improve their overall health,” Kantarci said. The full-length article, “Treating gum disease: Save your smile, help your heart? Appeared in the November 2014 Harvard Heart Letter.